Mad Decent's Herobust has always maintained a constant presence in the bass scene. His singles such as “Pump This” and “Bottle Swervice” can be heard at almost any bass show worldwide. Creating a novelty like no other, he incorporates sounds so heavy it will be expected to blow your mind. A prime example of this is his new single “WTF” which lives up to its name, leaving us in a state of shock. Herobust goes all out on this one, drawing in low and high-pitched vocals included within a heavy build up. The song features three unique drops that, just when you thought that drop was hard, the next one is even harder. In time for Bass Canyon and Lost Lands Music Festival, “WTF” can easily be the next anthem for fellow bass heads. 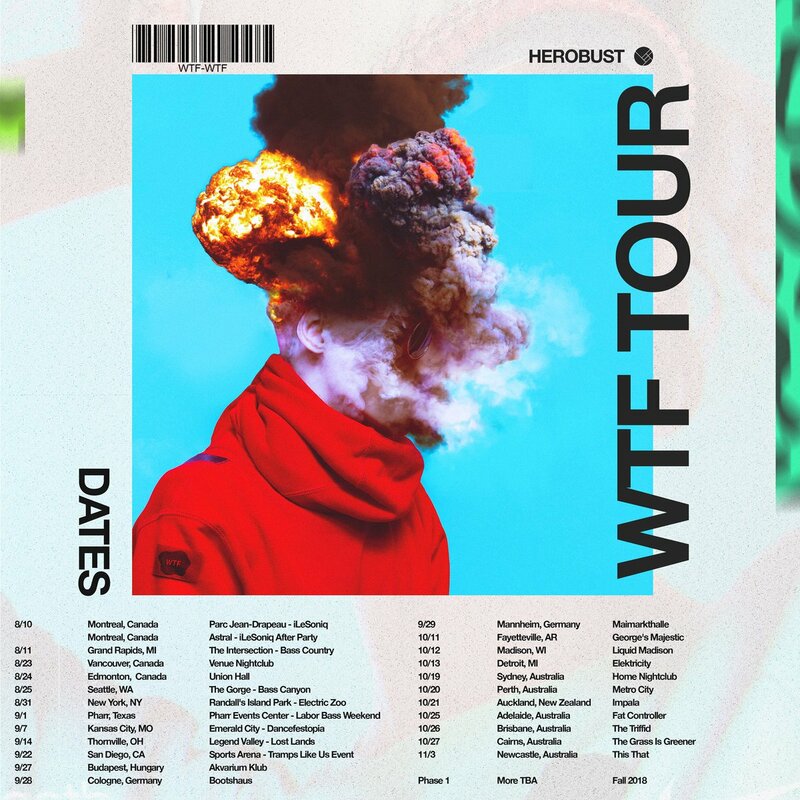 In celebration of this jaw-dropping banger, Herobust has announced phase one of his “WTF” tour covering stops in Canada, USA, Australia and Europe with further announcements to be expected soon.